· Why is it so hard to change? · Why does fear grip so many leaders and business owners? · What part do emotions play in your decision making? The success of a business owner is contingent upon their ability to repeat successful behaviors and avoid known failing behaviors. This is difficult to do when balancing financial needs, demanding customers, and overcoming fear of business failure. If you are interested in overcoming fear then join us and learn how to grow your business strategically. Reserve your seat now for December 1st Lunch & Learn! Darren Fisher started Spearity, formerly Darren Fisher Consulting, in 2010 as CEO and Lead Strategist. He is a best-selling author of, The Confidence Quadrant and is an international motivational speaker. Prior to this, he owned an IT services businesses because he is a bit of a geek. Darren is also an Air Force veteran with accolades for outstanding service, leadership, and technical ability. Darren fundamentally believes there’s excellence in everyone, so he’s made it his mission to help others achieve a greater success. Should his handwork yield explosive returns, his dream is to own the Milwaukee Brewers. A self-identified nerd (he attended science camp in 8th grade), Darren is big on getting children involved in STEM-related activities. Darren is an active volunteer in the greater Milwaukee Community. 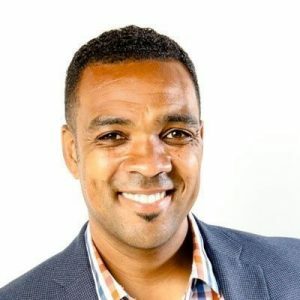 He is currently serving on the board for Gathering on the Green and Milwaukee NARI. He has served as president for the Maple-Dale Indian Hill Education Foundation’s, the president of the Nicolet basketball feeder program, and has coached numerous youth baseball, basketball, football, and softball teams for his children. Darren holds a Bachelor of Arts degree from Marquette University and a Master of Science degree in Computer Science Ed from Cardinal Stritch University. Network with great Business Owners and build strong relationships at your table while Lunching. 1:40 – End… or stick around to build relationships! Come join us! RSVP for this Lunch & Learn now! See www.TamaraBurkett.com and enjoy travel insights and savings! Our newest Sponsor, a WisOwners regular, is Jamie at www.TheCardcierge.com ~ offering busy professionals a convenient greeting card service to make sure they are prepared for every special occasion. Tell us what you need and we curate beautiful handmade cards to match. Nathan Klein is a great source for Lawn Care & Landscaping services. And get your barbeque on with Ben Houle of www.ButchersCatering.com! http://WebForging.com This 242-guide is written in non-geek speak especially for business owners. Copies are available for $20 if Keith signs yours at the event! Our focus moving forward is to extend the value of the enhanced relationships engendered in our Wisconsin Business Owners Group, in person and online. Extend the value of your deepening relationships with our LinkedIn Wisconsin Business Owners Group. Happy National Entrepreneurs Month Business Owners! In honor of National Entrepreneurs Month, we acknowledge all the hard work you do. 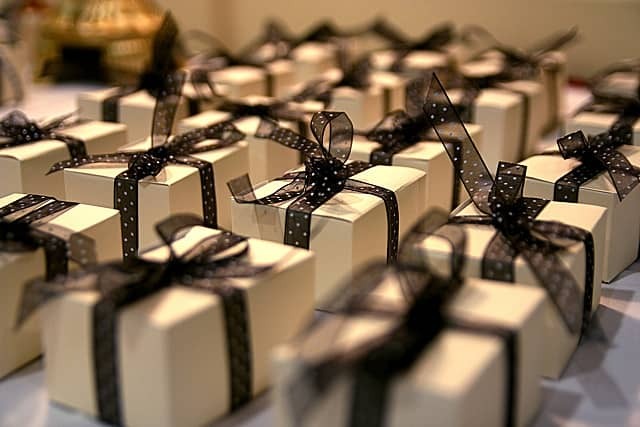 We’re pleased to say we have a highly valuable appreciation gift for you. We’d like to thank you for your commitment to our group by offering you an opportunity to get 2 free gifts to support your business’s success! 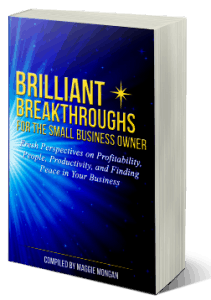 Learn what 10 Small Business Owners are sharing about how to win at small business in the 21st century, go here: http://bit.ly/BrilliantBizBook now. You’ll also learn about a podcast designed to help Small Business Owners win big in the 21st century. Additionally, you’ll get access to a mobile app for direct access to the 10 Brilliant Practicing ExpertsTM who wrote this book. We know you’re committed to growing your business and finding ways to be more profitable and have a little more peace in your business. Please take immediate action on this great offer while it’s available! Everyone who attended was a winner by virtue of meeting great people, enjoying an excellent presentation and an extra-fine lunch. We welcomed many new Wisconsin Business Owners. Thanks again to our Organizers and Sponsors! Organizer/Sponsor: David Kocol, Business Video Consultant & Trainer – Smart Video Nation www.DavidKocol.com 1 Cell Phone Tripod Mount & 1 Microphone Yvonne Lumsden-Dill – LumsDill Communications, LLC & Christine Dunn – Global View Capital Management, Ltd.
Organizer/Sponsor: Mark Mullarky, Owner – Mullarky Business Systems www.MBSWI.com 1 Hour Computer Consulting Susan Houdek – Allied Industrial Marketing, Inc.
We will have Wisconsin Business Owners Prize Winners during our “Lunch & Learn Milwaukee River Cruise” in July, too! Remember, registration ends this week for next month! Congratulations, Winners! Thank you, Organizers and Sponsors! Winners included not only half of the attendees of the February 27th, 2015 Wisconsin Business Owners Lunch & Learn, but several newcomers as well. Welcome to all of our new members! Our FREE monthly drawings included 15 prizes, ranging in value from $tens to $hundreds! That’s right ~ your attendance is all it takes to be one of our winners! For your chance to win and a great opportunity to network with some of Wisconsin’s best, come join us at the next Wisconsin Business Owners Lunch & Learn on March 27th, 2015. RSVP Here to attend ~ and perhaps join our Winners list! Check out all the fabulous prizes, sponsors and winners. George Schroeder, 3rd-generation owner of Schroeder Builders, LLC, is really looking forward to Spring, so he’s adding a great prize to our list. Perhaps a golf foursome! Join us and find out! Everyone who attends and enjoys networking, an excellent presentation, a fine lunch, all in a professional and amiable atmosphere, is a winner! Thank you Main Street Framing! Main Street Framing Gallery joining our Sponsors – More Winners at every Lunch & Learn! Our newest sponsor is Jennifer Bartelt, owner of Main Street Framing Gallery, on Main Street in Lannon, Wisconsin. We’ll have a couple of beautiful framed art prints of Door County Lighthouses and Wisconsin Barns to give away, courtesy of Jennifer and Main Street Framing Gallery. We’re working on a platform for a SPONSOR OF THE MONTH. If you’d like to help sponsor, please Contact Us! The more winners, the merrier! Half of the attendees of the January 30th, 2015 Wisconsin Business Owners Lunch & Learn won! Our FREE monthly drawings included 15 prizes, ranging in value from $tens to $hundreds! That’s right ~ your attendance is all it takes to be one of the many who win! For your chance to win and a great opportunity to network with some of Wisconsin’s best, come join us at the next Wisconsin Business Owners Lunch & Learn on February 27th, 2015. Organizer/Sponsor: Karin Conway, Organic Growth Coach - KMC Marketing, LLC www.KMCMKT.com 1 Business Marketing Assessment Roger Bayer - Sigma Tech, Inc.
Everyone who attends and enjoys networking, an excellent presentation, a fine lunch, all in a professional and amiable atmosphere, wins just by being there! We’re working on a platform for a SPONSOR OF THE MONTH. If you’d like to help sponsor, please Contact Us! The more, the merrier!